What does it take for an item to go viral these days? Most of the time you're looking at big-budget, global influencer marketing campaigns that are agonised over, analysed and strategised to within an inch of their creativity—that's the unfortunate truth. But we pride ourselves here at Who What Wear UK for spotting those burgeoning trends and It items that grow organically, whether they're a slow burn or fast-to-ignite flame. The latter happened this week: Blowing up faster than I could refresh my Instagram screen, within minutes of the (may I say incredible) JW Anderson A/W 19 show, London's elite-in-attendance were quick off the mark to share one key favourite piece on their grids. For something to be deemed important enough to be an in-feed post is, in today's social media currency, major stuff. Giving us a very good indicator of the first must-have on the lists of editors, buyers, bloggers and stylists, Anderson's checked-collar and cuffed, balloon-sleeved trench coat seemed to strike a chord for many. 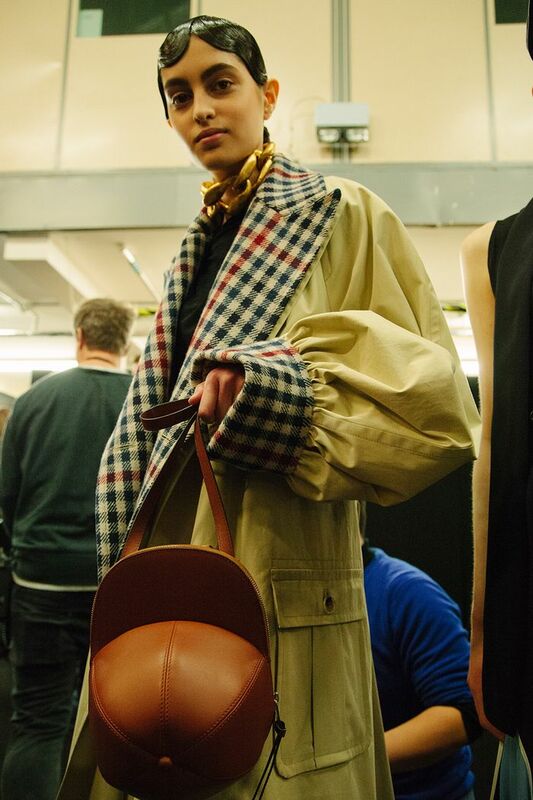 Playing into the ongoing look we've seen for voluminous silhouettes, this not-so-simple trench also ticked two other major trends: Everyone in our capital city has been wearing shades of beige to hit the streets of LFW, and on the runways it's clear to see that plaids, tartans and checks will continue strongly well into the end of the year. It's a triple-pronged attack and a ridiculously chic one at that. 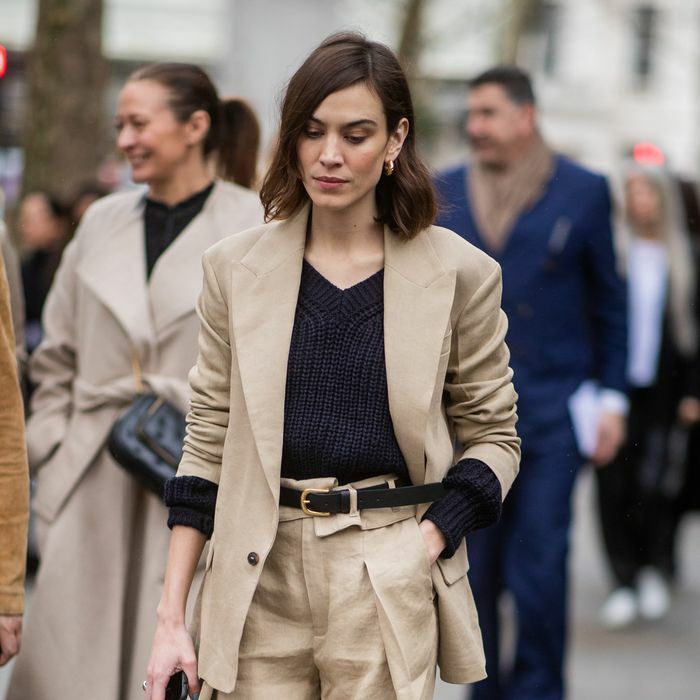 Paired with wide-leg trousers, a black top, leather-cap bag and a chunky gold chain necklace, this easy-but-impactful coat felt at once familiar and yet entirely new and different. Not only has this piece become a fashion star within its own right (see the below posts), but it will only further launch the career of the model wearing it: This was Medea Morton's first-ever London catwalk, and it certainly won't be her last. There was much to enthuse over in this collection—the paisley sweaters, dresses punctuated with giant thread-like stitches of fabric running through them, the chunky gold jewellery or equally hefty waist belts, the polka-dot bubble dress… But if there's one item we know will have a waiting list longer than Ariana Grande's ponytail, it's this lovely coat. Keep scrolling to see who's already obsessed with it, and shop some of our favourite JW Anderson pieces you can get hold of today. The coolest wedding-guest dress we ever did see. Add this to a muted outfit and let it do all the talking. These are still very popular with fashion eds. Scouts, but make it fashion. This is a keep-forever kind of classic. Next up, the best London Fashion Week street style moments.